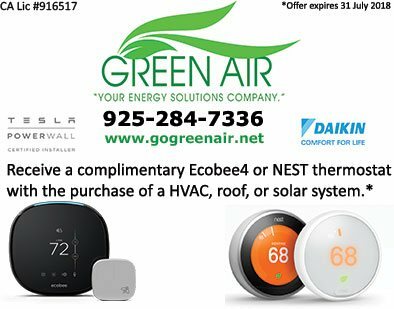 Employment - Green Air Heating and Air Conditioning, Inc.
Our target clientele are very elite, and in turn we are seeking elite team members. We services the greater bay area. The service center is located in Concord, CA. Green Air provides medical and dental for all full time team members after probation period with “buy-up” options. Green Air also makes every effort to accommodate team members by providing transportation and/or fuel and maintenance stipends/reimbursements. Our company is looking for team members that will become an integral part of the formation of a growing organization. These team members should have at least 5 years of HVAC or Solar experience as a “lead installer” and be capable of brazing and soldering (for HVAC). EPA certification as a Type II refrigerant is necessary for this position along with the ability to critically think. On-call rotations are required for each field team member and consist of 1 “on-call” week every 10th week (more or less) depending on the number of field team members). MUST HAVE A CLEAN DRIVING RECORD.